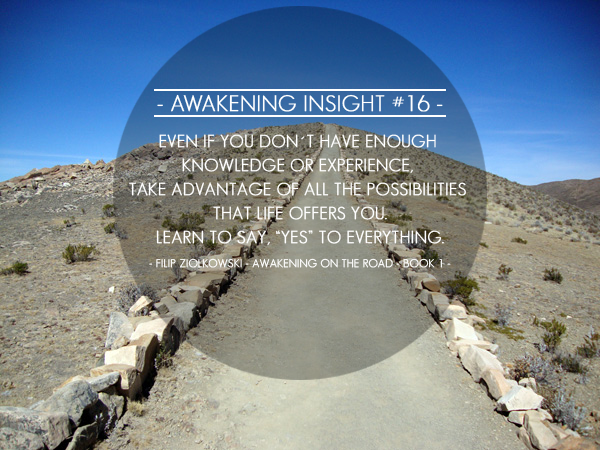 AWAKENING INSIGHT #16 Even if you don´t have enough knowledge or experience, take advantage of all the possibilities that life offers you. Learn to say, “yes” to everything. Even if you don´t have enough knowledge or experience, take advantage of all the possibilities that life offers you. Learn to say, “yes” to everything.